Gloria did not intend to start a halfway house for lesbian werewolves. It just sort of happened. Between running a small bed-and-breakfast with her friend Nadine, helping one young lycanthrope adjust to life after the bite and soothing ruffled fur when the other brings home an unexpected cat, Gloria has more than enough to keep her busy, but one thing is definite: she is not nor ever will be an alpha, whatever Nadine says. And the ever-expanding circle of misfits in her guesthouse is certainly not a pack. If only Nadine and the rest of the world were as simple and clear cut as she kept wanting them to be. 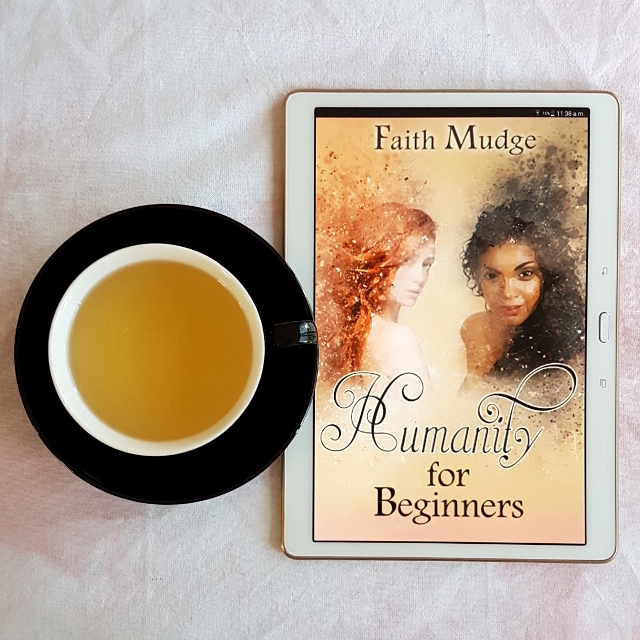 Humanity for Beginners is a quietly charming novella that subverts some current tropes common in urban fantasy shifter stories. For a start, it centres a lesbian woman in her 40s–not your typical werewolf protagonist. Gloria denies the others’ insistence she’s their pack alpha. In fact, she denies there’s a pack at all (though never that they’re a family). Self-control is very important to her and she does her best to act as rationally and as human as she can. This doesn’t always work in her favour. Gloria’s attitude towards pack dynamics stands in strong contrast to the toxic masculinity of the other packs portrayed in this story. Gloria doesn’t dominate through violence and aggression, as the other packs do. Instead, her approach is more maternal; she can’t help but be genuinely concerned for the well-being of her adopted family. This doesn’t mean she’s a pushover or that she wears her heart on her sleeve. Indeed, she sometimes struggles to stay neutral and let her fellow werewolves to make their own decisions, even though it’s really important to her that they do. She also is capable of enforcing boundaries where necessary. This resistance to toxic masculinity also manifests in the type of story this is. Set in a rural guesthouse, Humanity for Beginners is a domestic tale that centres on relationships. As the characters sort out romantic, pack and family dynamics, they’re also busy preparing food, cleaning rooms and taking bookings. It’s a gentle story without a whole lot of action, though conflict remains present. While each of the characters was distinct, the characters external to the pack could have used a little more depth. In particular, I would have liked to learn a little more about Damien, who is part of the family even though he’s not a werewolf. However, I feel the author did a reasonable job within the constraints of a novella. Overall, Humanity for Beginners was a subversive story that was a pleasure to read. Sold! Going to buy it now. This sounds really fun! I love all the romance reading you’re doing — I’m getting so many recs! A good trade-off, then. I got quite a few new recs from your recent podcast!